Image Building Systems is a Commercial General Contractor in Arizona specializing in providing, designing and installing pre-engineered metal buildings, steel buildings, and shade structures. 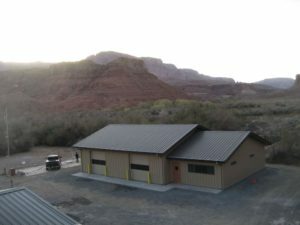 As the premier Arizona steel buildings contractor we travel throughout the Southwest installing buildings of all sizes for a diverse customer base. We do not go by any corny mission statement, because we believe every customer’s needs are different. Putting the customer first ensures we work diligently to maintain lifelong references and guaranteed satisfaction. We will handle all of your needs with the highest level of professionalism and quality, on time and within budget. IBS is a Arizona Steel Construction Company located in Phoenix, AZ. Design, supply and delivery of superior, competitively priced Steel Buildings, standard or custom, all will be designed for your site and to fit your needs, all framed buildings will meet the rigid AISC Standards. Get a fast and free quote today. Computer technology has increased the scope of Image Building Systems product line until the words “standard product” have become a misnomer. Rectangular, gabled pre-engineered metal buildings are still an important part of the marketplace while offering attractive and functional facilities. Often times, heavy industrial applications require special design consideration for material handling systems. Our computer designed structural systems are easily adapted to the special loads that these features require. Our professionals design structures and factories with unique storage, conveyor and crane systems. As manufacturing processes become more high-tech oriented, so do the physical facilities that protect a company’s investment in equipment. Image Building Systems can give that protection and provide a corporate style manufacturing plant that will allow you to be competitive and to grow within your marketplace. Recreation facilities vary greatly in design and function. 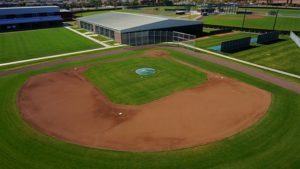 Space, maintenance, cost, and durability are major concerns when planning any recreational or sports facility. Making these concerns minor is what Image Building Systems does by providing attractive, functional, expandable recreation buildings. 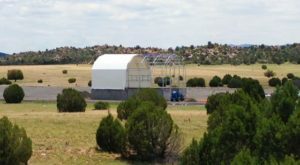 Arizona Metal Buildings designs, and Quality Steel Buildings, we are your best choice for Pre Engineered, Metal Buildings in Arizona, Steel Building Kits, Commercial Mini Storage, Boat and RV Storage Buildings, Business Parks, Industrial Parks. For large or small projects throughout Arizona the U.S. 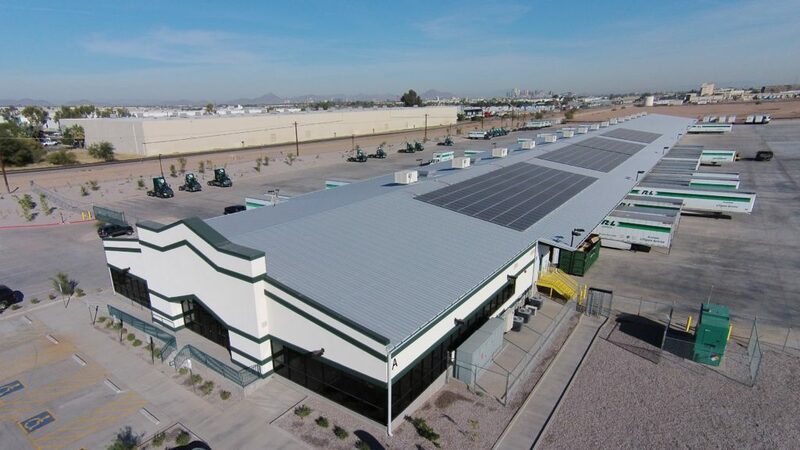 Image Building Systems was hired by Vector Constructors to supply and erect three Pre Engineered Metal Buildings for R&L Carriers in Phoenix AZ. This 92,000SF facility just opened as a major shipping hub in the Southwest. The shipping terminal has 116 overhead doors is a great example of steel building clearspan capabilities, providing 100’x770′ of interior open space. This aspect allows for diverse design and use of space inside and out. This building was raised by our very own erection crew in record time! Image Building Systems erected a 115,000 square foot Pre-Engineered Metal Building that had 30’ eaves. The building was erected on top of a 32’ tall structural steel building. The roof sections were set in place with a 400 ton crane. This steel building project is for Northland Pioneer College which is a tech school that will teach many skilled trades to students in a very unique steel building provided and installed by Image Building Systems. 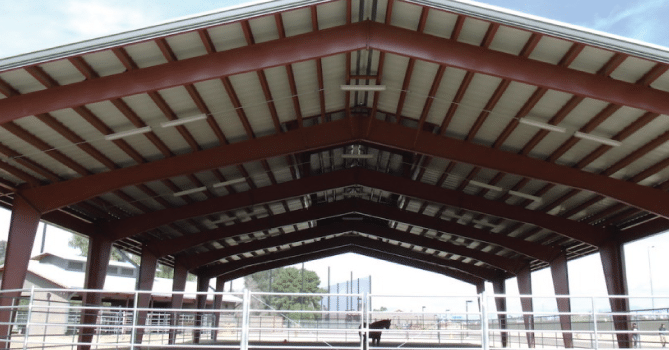 Image Building Systems was hired by Adolfson & Peterson to supply and erect a covered riding arena where students and teachers can enjoy their equine studies and riding year round in a cooler shaded climate. We have many different design options for your equine and agricultural needs. Image Building Systems was chosen to supply and erect the newest addition to the Sun City West Fire District inventory. Fire Station #104 is an essential facility utilizing a 56’x60′ Star Pre Engineered Building. This erection is of the highest quality, ensuring that the facility will function without leaks or other issues for many many years to come, keeping those who protect and serve our community safe! Buying a steel buildings in Arizona is an excellent way to put up a building quickly and efficiently. You can easily purchase a steel building kit to suit your needs for a workshop, storage building or even a gardening shed. However, how you go about planning, researching companies, figuring costs, purchasing and getting the proper building permits must all come together to complete the process. What size of a building meets my requirements? Will a peaked roof meet my needs or is a flat roof sufficient? How many square feet of space is needed? Are insulation and power a necessity or just a wish? Should the design include a small door or would a full-sized sliding door be more efficient? Unless you’re purchasing just a small building kit for basic storage, there may be several other costs you need to take into consideration before making a purchase. Check with your state-zoning department to determine what size of building would be permitted and any restrictions on designs or the location on the property. Purchase required permits to comply with the laws in your community. Once you have completed the planning stage, you should check with the zoning department to make sure any small details have not been overlooked before you begin shopping for a reputable steel buildings contractor in Phoenix Arizona. Putting up a new building is a challenging project. Whether it’s a shed, barn, garage, house, warehouse, office, store or church, you want it to look nice and last for years. That’s why many home and business owners are choosing Arizona steel buildings for their new construction. According to the Metal Building Manufacturers Association, more and more people are choosing this material because it offers flexibility, speedy construction time, durability and a wide range of design options. Here is a look at five major advantages that Arizona steel buildings offer. Steel is impervious to problems that are inherent with wood construction. They stand up to the damaging effects of fire, earthquake and other natural disasters. They can handle weather extremes like hurricanes, snow, sleet, hail, rain and high and low temperatures much better than wood. Steel building components are pre-engineered at the factory. Wood buildings are constructed on the property. Our components are pre punched and bolt together quickly. This reduces the time it takes to complete a home or smaller building from weeks to just days. And larger commercial structures can be finished in a matter of weeks instead of months. Steel buildings are cheaper to complete for five reasons. Pre-assembly. Many components are cut and prepared at the plant to fit together easily on the construction site. This reduces labors costs substantially. Insurance savings. Because of their strength and ability to resist fire, these buildings often qualify for lower premiums. Long life span. These buildings last for many years with minimal repair and upkeep. Steel buildings have a range of design possibilities. They no longer look like the corrugated tin or Quonset huts of decades ago. The exteriors can be finished to look like traditional buildings. You can choose traditional finishes like stucco, wood or brick. You can also use panels for the walls and roof that come in a wide assortment of colors and textures. Steel buildings are 100% recyclable. Instead of the 40 to 50 trees used in a typical wood structure, you can construct a steel building that uses the equivalent of six old scrapped cars, according to the Steel Recycling Institute. Most steel building products do not release pollutants into the atmosphere like wood products that have been treated. The cool metal roofs help lessen the effect on climate change. And they are energy efficient. Arizona steel buildings reduce heating and cooling loss substantially. When it is time to choose the material for your building, consider steel, an attractive alternative to wood. Arizona steel buildings are affordable, long-lasting, good looking and easy on the environment. Pre-engineered steel buildings are a very convenient and relatively low cost alternative to using conventional construction methods and materials on buildings, and they have advantages which are making them very popular. They can be used for any number of functions, including something as big as an airplane hangar, or something as small as a simple storage unit. In essence, a pre-engineered steel building is one that has been constructed using a steel framing system, upon which is constructed a metal roof, and which is sided by wall panels that are also made of metal. While they can be built to almost any dimensions requested, once designed they must adhere to very precise specifications so that on-site assembly goes smoothly, and building integrity is achieved. Also factoring into the design of a steel building are any issues relative to load-bearing, potential environmental impacts, and any local building codes that may apply. Most often, all the components for pre-fabricated buildings are made off-site and then shipped to the location where the building is to be erected. One of the most appealing features of these kinds of buildings is that they are very cost-effective, and can be constructed for considerably less than the cost of a similarly-sized building, that would be designed and built using conventional materials and methods. Pre-engineered buildings can usually be constructed in a much shorter period of time than their conventional counterparts, which leads to another cost savings. These buildings are also very customizable, and can be built for almost any specific application that the owner has in mind. Pre-engineered buildings are also extremely strong, being very durable and resistant to practically all kinds of weather – even snowstorms, high winds, and potential damage from hail. With the wide open interior spaces of a pre-engineered steel building, there are literally endless opportunities for storage and other creative usage. Because these buildings are tightly sealed, they require much less insulation than standard buildings, and are therefore generally more energy-efficient than conventional buildings. In warm weather, the design and material selection of their roofing can act to deflect the warmest rays of the sun, maintaining a cool interior and reducing energy costs for the cooling system. ASA (American Subcontractors Association of Arizona) "One Voice"